I saw this book being offered as a giveaway months before its official release date and as soon as I read the summary I wanted to read it so bad. I did not win the giveaway unfortunately; however, once I got my hands on it I started it immediately. The story’s main character Emily Wilson is trying to survive a broken heart as her husband has just left her for another woman. Trying to pick up the pieces of her life and feeling altogether lost, she decides to spend a month visiting her great-aunt Bee on Bainbridge Island in Washington State to try to get her life under control and to start researching her next book. While there, she discovers a red velvet diary dated 1943 written by an unknown individual. The story written in the diary has her intrigued and she doesn’t even realize that the story actually involves her and a decades old family mystery. I couldn’t put this book down, it had me from the very beginning. The writing was flawless and the characters were described beautifully. 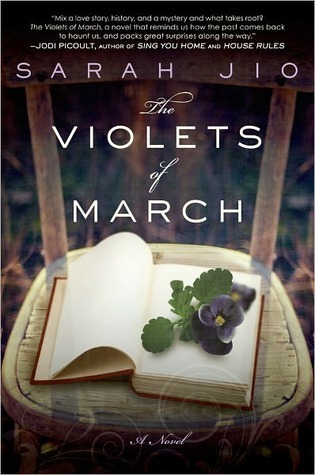 After reading this I immediately went to try to find more of this author’s work-had no idea this was her debut novel! Highly recommended and will definitely be keeping an eye out for more by Sarah Jio. By the end of her first day among fellow freak-teens, Sophie has quite a scorecard: three powerful enemies who look like supermodels, a futile crush on a gorgeous warlock, a creepy tagalong ghost, and a new roommate who happens to be the most hated person and only vampire on campus. Worse, Sophie soon learns that a mysterious predator has been attacking students, and her only friend is the number-one suspect. As a series of blood-curdling mysteries starts to converge, Sophie prepares for the biggest threat of all: an ancient secret society determined to destroy all Prodigium, especially her. Okay, so I loved this book… even though it had a total ‘Harry Potter’ feel to it. Only exception was that the main character, Sophie Mercer, always knew she was a witch. She lived in the real world up until she tried to make a friend with a classmate by casting a love spell for her. 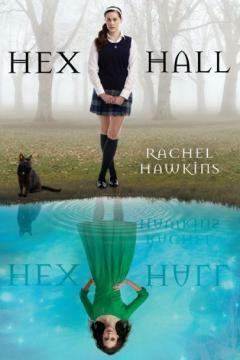 The love spell went awry and because she made her powers known, she was shipped off to ‘Hex Hall’-Boarding School for the Gifted. And the incident with Archer and Sophie in the cellar… Ahhhh! That had my mouth gaping. Even though I should have seen that one coming, it still threw me for a loop. Sophie Mercer thought she was a witch. That was the whole reason she was sent to Hex Hall, a reform school for delinquent Prodigium (aka witches, shapeshifters, and fairies). But that was before she discovered the family secret, and that her hot crush, Archer Cross, is an agent for The Eye, a group bent on wiping Prodigium off the face of the earth. Turns out, Sophie's a demon, one of only two in the world—the other being her father. What's worse, she has powers that threaten the lives of everyone she loves. Which is precisely why Sophie decides she must go to London for the Removal, a dangerous procedure that will destroy her powers. But once Sophie arrives she makes a shocking discovery. Her new friends? They're demons too. Meaning someone is raising them in secret with creepy plans to use their powers, and probably not for good. Meanwhile, The Eye is set on hunting Sophie down, and they're using Acher to do it. But it's not like she has feelings for him anymore. Does she? Yet another great book.. I think I actually enjoyed it a teensy bit more than Hex Hall; however, I did not laugh as much. This book continues where the first left off with Sophie deciding to go through the Removal after she finds out she’s not actually a witch, but a demon, and a very powerful one at that. She flies to England with Cal (Love Cal-Archer can go away) and Jenna to meet her dad and spend some quality time with her as he is determined to change her mind about going through the Removal. 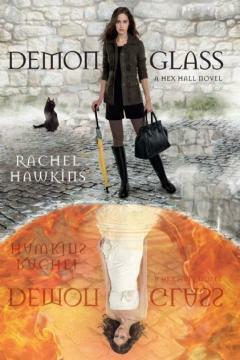 While in England she finds out she’s betrothed, she meets other demons, and she comes face to face with Archer again.